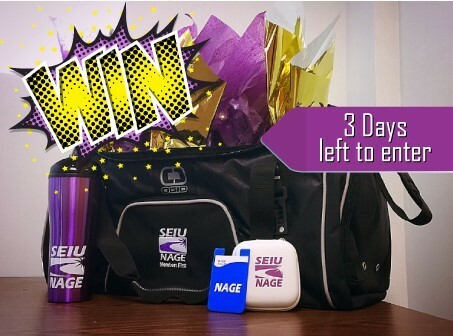 3 Days Left To Enter Win $100 or a NAGE Swag Bag! Just 'Like' our Facebook page AND fill out an Entry Form. Two 1st place WINNERS get a $100 American Express gift card each, and two 2nd place WINNERS will recieve a FREE Swag Bag from NAGE! The entry deadline is Monday, May 23rd. 4 lucky winners will be randomly selected on Thursday, May 26th at 10:00AM EST. Please remember to fill out the Entry Form and 'Like" our Facebook page to enter the giveaway.